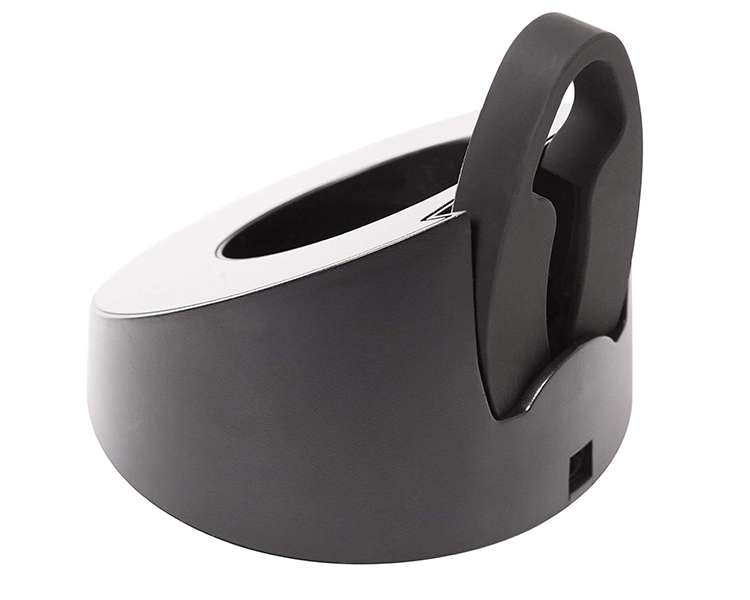 Includes an elegant recharging base and compact foil cutter packaged in an black gift box. . 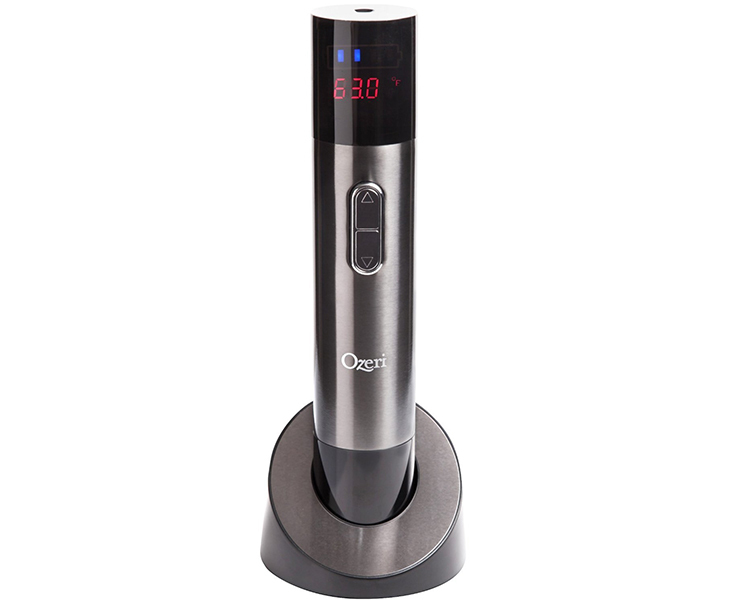 Inspired by the wine cellar tradition of monitoring wine temperature with precision to ensure the best flavors and aromas, the Ozeri Maestro Electric Wine Opener in Stainless-Steel blends an advanced electric wine opener with a new state of the art infrared non contact thermometer. 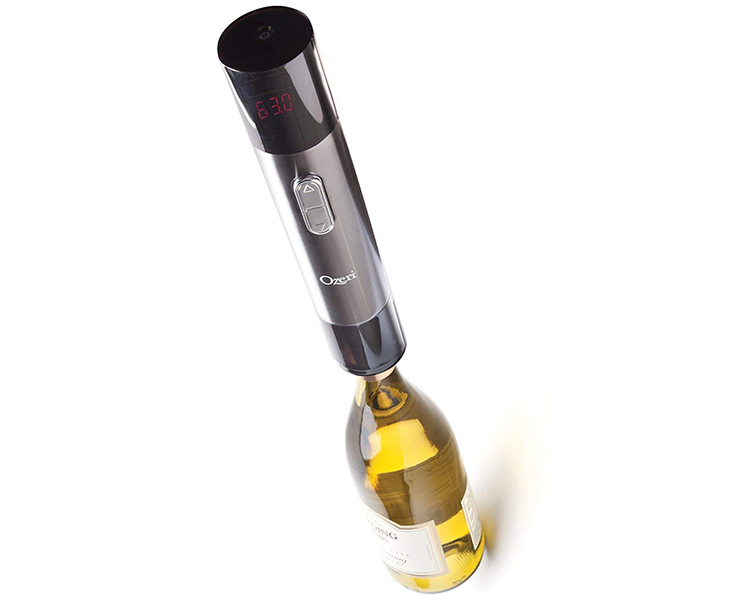 The Ozeri Maestro Electric Wine Opener opens up to 80 bottles of wine on a single charge, and its built-in thermometer displays both wine bottle and room temperature readings on its digital LCD screen. As oenophiles know, temperature is one of the major determinants of wine flavor and balance. Unfavorable temperatures can cause an increase in tannins, excess acidity, aroma decay, premature aging, reduced potency and other undesirable characteristics. 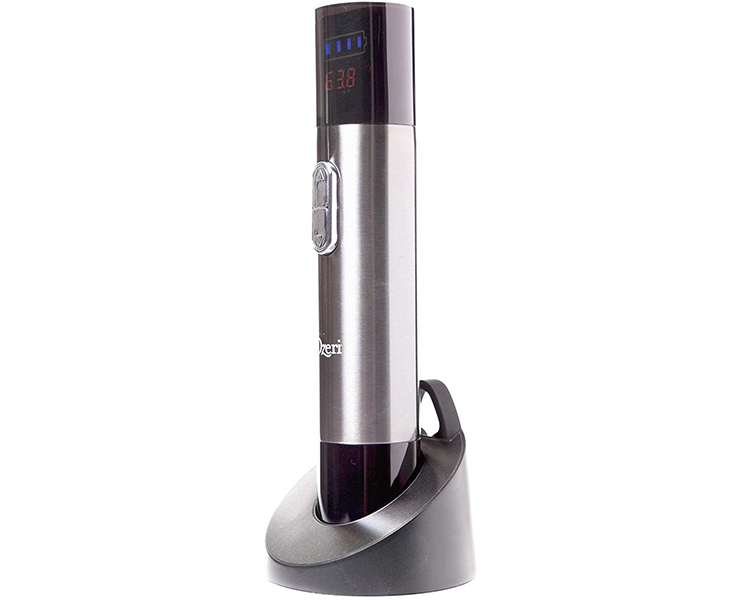 With the Ozeri Maestro Electric Wine Opener, your wine will always be served at the right temperature. 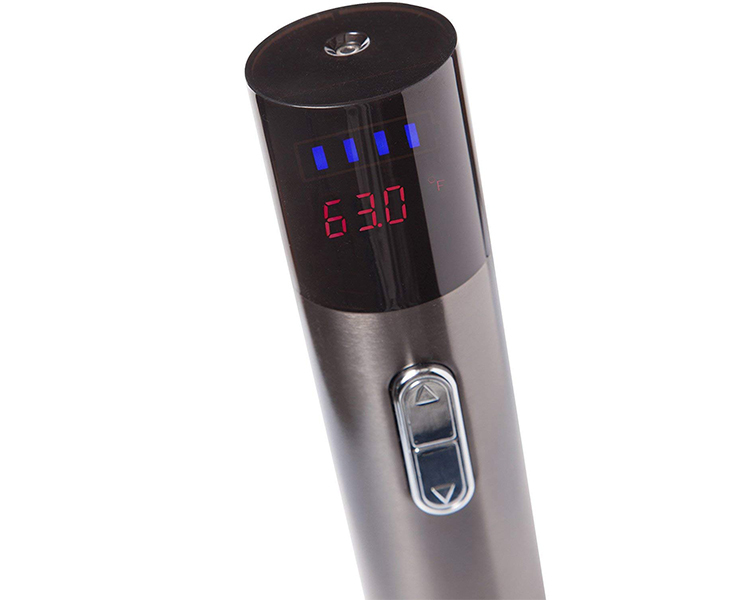 The Maestro also features a digital battery meter on its LCD screen so that you are never out of charge. The Stainless-Steel Maestro Electric Wine Opener makes opening wine bottles easy, exciting and entertaining. Designed for home and restaurant use, it operates without cords via the simple push of a button. 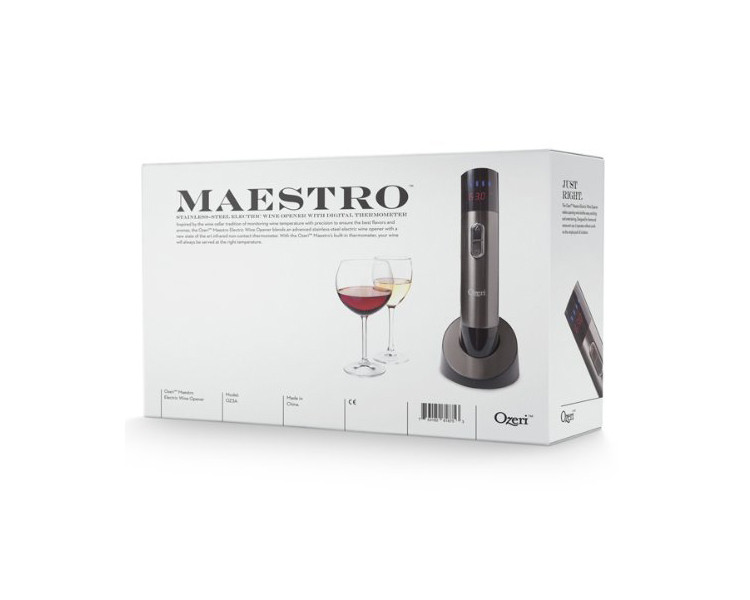 The Maestro includes an elegant recharging base with a built in foil cutter to remove wine seals. 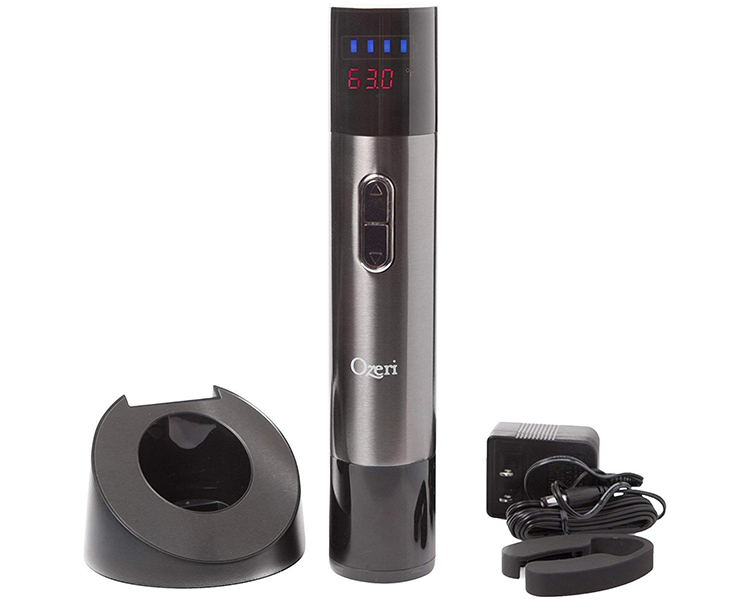 The Ozeri Maestro Electric Wine Opener opens both natural and synthetic corks, and features an ergonomic grip for easy handling. With its latest generation technology, modern design, and superior stainless-steel workmanship, the Ozeri Maestro Electric Wine Opener is the perfect gift and ultimate accessory to every kitchen and wine bar.